Kunsulu is a Kazakh name meaning “beautiful day” to describe this eye catching statement Moroccan hamsa pendant necklace. 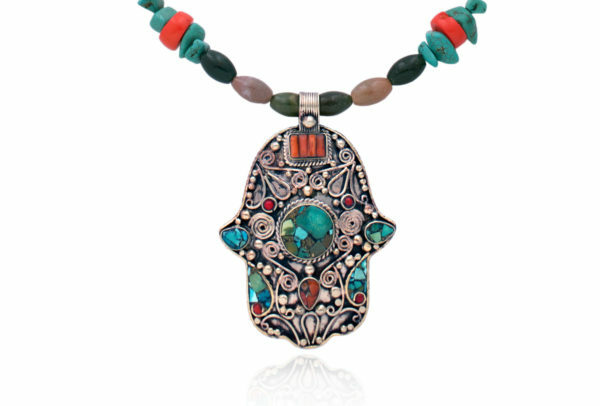 The hamsa is a protective sign, believed to bring the owner happiness, health and good fortune, and is popularly used in the Middle East and North Africa. The hamsa hand has a variety of meanings and interpretations, depending on the culture. For example, in the Islamic faith, it symbolises The Hand of Fatima, the daughter of the Prophet Mohammed. In the Sunni culture, the hamsa is associated with the Five Pillars of Islam, whereas for the Shi’tes, it symbolises the Five People of the Cloak. This highly stylised pendant is embedded with Carnelian and Amazonite and features intricate twisted wire and filigree work. Bright red Carnelian is believed to protect the wearer from illness and death. Amazonite from Mauritania has been traded across the desert for many centuries and is used in women’s jewellery in the arid southern plains of the Maghreb. It is regarded as a powerful talisman of healing and prosperity, and has been used in jewellery since the time of the early Mesopotamian cultures. 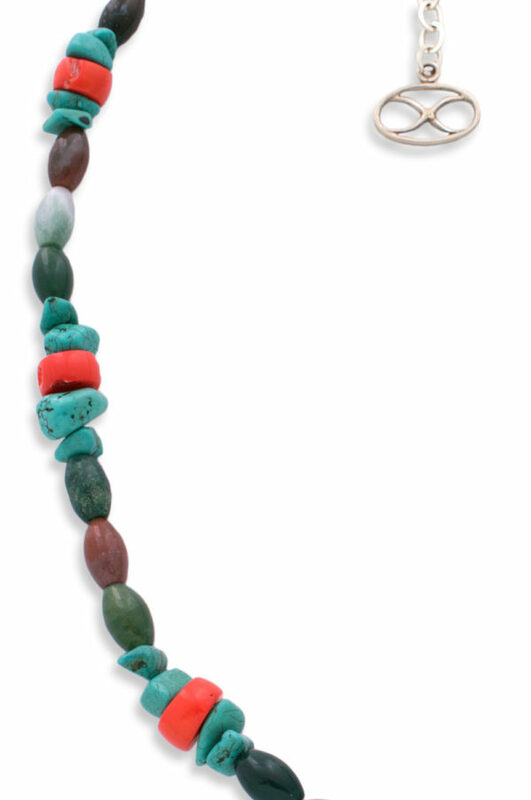 The pendant is complemented by Botswana Agate beads, a stone named for the place in Africa from where it is mined. Botswana Agate is called the Sunset Stone because it retains sunlight and is considered to have anti-depressant qualities. 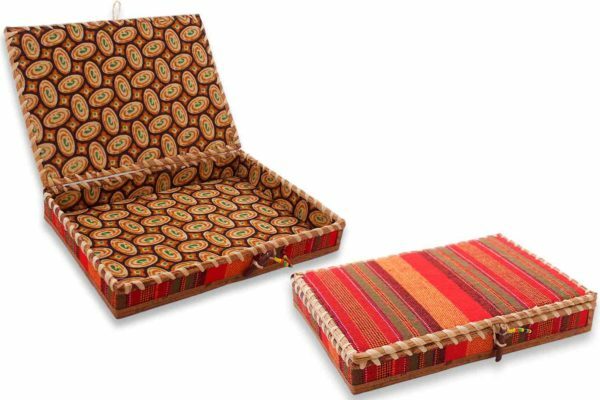 It was traditionally used in African fertility ceremonies, whereby the shaman would place the stone on the belly of a woman to encourage the conception of strong, healthy offspring. Beautiful deep pink Coral beads from Morocco add a fabulous pop of colour. They are hugged on either side by striking accents of African Turquoise. 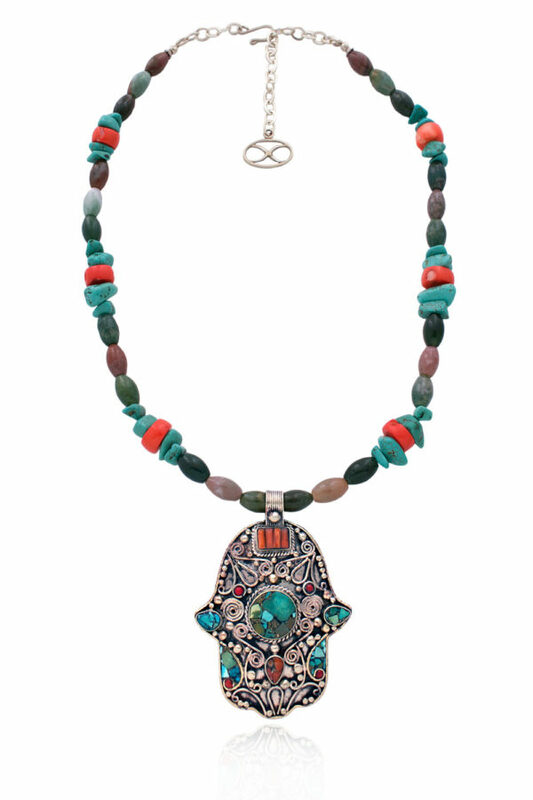 In popular legends, Turquoise is believed to attract money, success and love. Pink coloured Coral is associated with the heart chakra and increases sensitivity and compassion. This beautiful Kunsulu Necklace is completed with a handcrafted sterling silver clasp, chain and SHIKHAZURI logo bead.